Small business marketing tools designed to help you balance your business. Often times we start businesses because we have something to offer – A skillset per say. These skills have been honed over time, and we’ve become experts. Unfortunately, those skills never encompass the entire gamut of expertise necessary for starting and running a business. A great baker, for example, may have in a previous career been a personal tax accountant. She has the expertise to develop her product and manage the books. But what about the legal, operational and marketing aspects of the business? Not-to-mention the technology, human resources, and financial planning necessary to succeed. It’s a lot to comprehend. Unfortunately most of us don’t have the luxury to hire the best and the brightest. We manage the business like walking a tight rope. We determine where our time is best spent. Too much time spent in one area (i.e. sales) will always have an effect on another area (i.e. production). There’s just not enough time to learn and do it all. Here we’ve compiled a small list of online marketing tools. These marketing platforms range from helping you manage your social accounts more effeciently to reaching new customers. Now you can reduce the amount of time you spend on everything else, and get you back to doing what you do best. 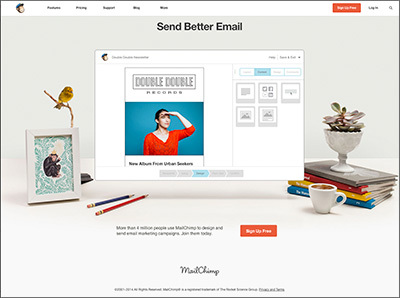 Mailchimp allows users to create, send, and track email newsletters. Whether you’re self-employed, you manage projects for clients, or you work for a Fortune 500 company. Create signup forms that match your brand’s look and feel, and send your subscribers product updates, event invitations, announcements, or editorial content. Mailchimp offers several packages based on your business size. If you’re just starting out, the Entrepreneur package is free and requires no credit card. Do you have interesting stories about your business or industry? 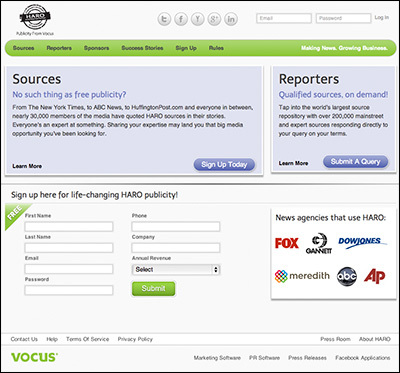 Reach out to HARO and become a source for news and information. Build credibility within your industry. Every day, HARO brings nearly 30,000 reporters and bloggers, over 100,000 news sources and thousands of businesses together to tell their stories, promote their brands and sell their products and services. For today’s businesses, social media is essential. Especially if you’re going to market your business without breaking the bank. The problem most of us encounter is managing all our social accounts. In comes Hootsuite. 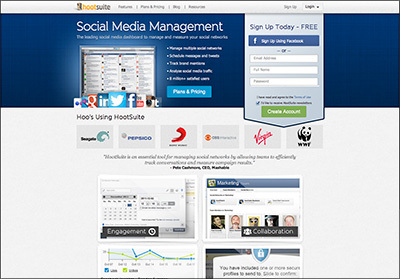 Using Hootsuite, you can manage all your social media in one location, track brand mentions, schedule messages and tweets, etc. Say goodbye to logging in and out of your social media accounts. If you’re just starting out, they do have a free account option. 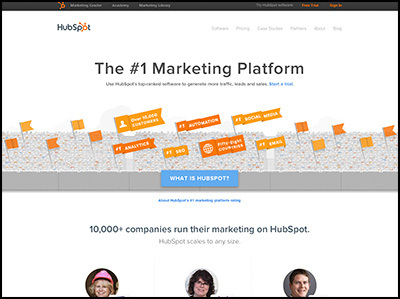 HubSpot is an inbound marketing software platform that helps companies attract visitors, convert leads, and close customers. That’s a lot of marketing speak for the non-marketer. Let’s break it down a bit. HubSpot assists you with managing your email marketing, developing personalized landing pages and websites, optimize your site for search engines (SEO), get leads and follow up through marketing automation, provide easy-to-understand analytics of your site, dig through social media so you can identify and personalize your social media responses, and finally, assist you in managing a blog and content for optimal results. Wow, that’s a lot. Although Hubspot is not free, the services they offer for the price you pay are well worth the money.